Thank you to all our 2017 Social Finance Awards judges for their tremendous support and contribution. The judging panel reviewed the nominees for the awards and determined the winners. The panel was representative of the diverse stakeholders in social finance in Canada and comprised of cross-sector leaders in impact investing. Shama is an experienced analyst with public and private sector experience. After completing her M.A. in Economics at McGill, she worked in the public sector for several years as an Economist and Policy Analyst with both the Federal Department of Finance and with the Department of Indian and Northern Affairs. She then pursued my MBA at the Rotman School of Management in Toronto, after which she joined TD Bank. She spent 5 years at TD Securities in the Risk Management world working with both the Global Counterparty Credit and Global Client Management teams. Most recently she joined Community Relations as a Manager of Financial Education and Social Finance. 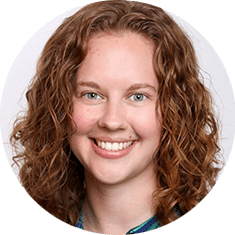 Andrea works where social good and business intersect. A deep appreciation for community and the natural environment is what has inspired Andrea to mobilize the private sector for good. Currently, Andrea is responsible for developing and executing innovative programs with RBC Future Launch, RBC’s largest and most significant commitment to a social cause. Future Launch is RBC’s movement to rally the nation around our greatest asset – Canada’s youth – in a time of disruptive change. Andrea has also contributed to the evolution of Corporate Citizenship at RBC in various roles, including research and partnership development for the Corporate Sustainability Group and management of the Social Finance Initiative, which aims to increase awareness of how private capital and financial markets can affect social and environmental change. Andrea holds a Masters in Environment and Sustainability from Western University and a Bachelor of Arts, Honours from Queen’s University. 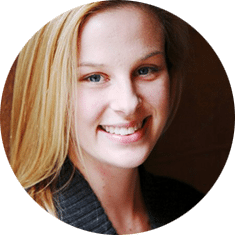 She was named one of Canada’s Top 30 Under 30 Sustainability Leaders by Corporate Knights in 2015. 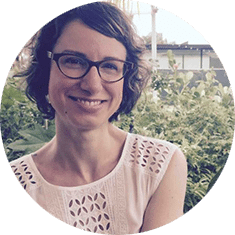 Claudia is Director of Development and Strategic Partnerships at JUMP Math, a social entreprise that supports students to reach their potential by enabling teachers to create a culture of excellence and love of math through professional development and resources. Prior to JUMP Math, Claudia was Director of Partnerships at Ashoka Canada, a global community of social entrepreneurs, where she led fundraising and the launch of two new programs in Canada: Ashoka U and Start Empathy which focused on cultivating a culture of changemaking on campuses and in K-12 schools. Claudia has also consulted with Ryerson University and volunteers her time on initiatives supporting childhood wellbeing and Syrian refugees. Claudia hold a Bachelor of Journalism from Ryerson University and a Master in Environmental Studies from York University. Narinder is the Managing Director of LEAP, Canada’s leading venture philanthropy firm. LEAP (incubated by the Pecaut Centre) mobilizes the private sector (BCG, EY, McCarthy Tetrault, Perennial, Offord Group and H+K Strategies) to partner with game changing interventions in the non profit sector, scaling their impact across Canada. Narinder sits on the Global Council for Pro Bono and is a BMW Foundation Responsible Leader. As a lecturer at the University of Toronto, she co-created the first course in microfinance and impact investing at the University. Further, she worked with Ryerson to launch the Professional Master’s Diploma in Social Finance this September, designing, and teaching the “Investing for Impact” course. 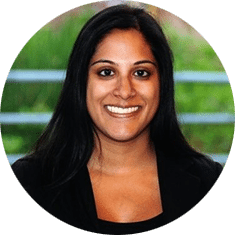 Narinder is the founding Executive Director of Rise Asset Development – a Rotman/CAMH financial initiative, providing an entrepreneurial path to employment for those with a history of mental health and addiction challenges. She led the design, growth of Rise from the pilot phase to its expansion across Ontario. Narinder has also has spent multiple years working across West Africa, both as program manager at the Première Agence de Microfinance (PAMF) across Burkina Faso, Mali and Cote d’Ivoire and as a member of the portfolio team with Acumen Fund (West Africa office focused on social enterprises across Ghana and Nigeria). She holds a Master of Business Administration from the Rotman School of Management at University of Toronto, and a Bachelor’s degree from the University of Toronto in Electrical Engineering. 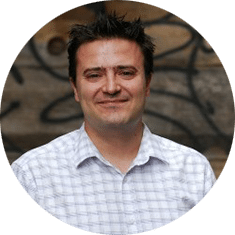 Norm Tasevski is a Co-Founder at Purpose Capital. Norm leads PC’s business development initiatives including the creation of new partnerships and alliances that further our strategic priorities. Norm has spent his career working with and for impact-minded for-profit, non-profit and government organizations. Prior to Purpose Capital, Norm was a Social Entrepreneur-in-Residence with the Social Innovation Generation (SiG) program at MaRS, and was a management consultant with Aperio. Norm also teaches social entrepreneurship and impact investing to MEng students at the University of Toronto, and previously taught at both the MBA and BBA levels at the Schulich School of Business. Norm is a frequent guest speaker at social innovation oriented conferences and forums, presenting at well over 20 conferences over the past 3 years alone. Norm currently sits on the Board of a mobile commerce technology firm called Lucova. Norm holds an MBA from the Schulich Business School, and an undergraduate degree in political science from Queen’s University. Kim is a systems-disruptor who seeks out opportunities to work across all sectors to solve complex social problems. She currently works for RBC as Senior Manager of Youth Strategy & Relationship Management, building strategies that demonstrate how private business can play a significant and positive role in catalyzing social impact. Prior to joining RBC, Kim spent three years with the Ontario Government, where she worked as a Senior Policy Advisor to Minister Brad Duguid and Executive Assistant to Premier Kathleen Wynne. A self-confessed “policy wonk”, she played an important role in the development of the provincial government’s accessibility, youth, and social innovation strategies. Prior to her time in government, Kim worked at a number of non-profit organizations, both in Canada and Europe, on projects related to strengthening resilience amongst at-risk youth and combating human trafficking. 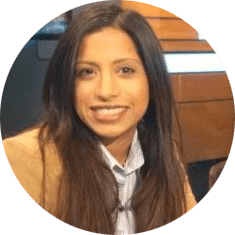 Zuleyma is the Director of Operations and Data Lead of ImpactAlpha- the leader in impact investing news. Passionate about connecting people and harvesting mutually beneficial relationships, Zuleyma believes social enterprises are a vehicle for real economic growth. 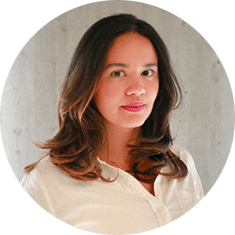 To this end, Zuleyma co-founded ImpactSpace the open data platform powering the global impact marketplace to showcase successful models, results and gaps within the impact investment industry. Zuleyma worked for UNDP Iraq in Amman, Jordan, as a reporting analyst and continues to work toward the advancement of the social enterprise field in the Middle East. She is fluent in Spanish and Arabic. With a Master’s degree in Investment and Development from the Middlebury Institute of International Studies and a B.A. in Political Science from the University of Florida, she is dedicated to sustainable development solutions. David has led and contributed to a range of innovative approaches to policy and delivery in the area of economic development. He previously served as Manager of Start-Up and Entrepreneurship Programs and Manager of Access to Capital with MEDG/MRIS, and contributed to the development of programs under Ontario’s Social Enterprise Strategy, 2016-2021. He has also held positions with the Waterloo Wellington Local Health Integration Network, the Ministry of the Environment, Ministry of Finance, Ministry of Health and Long-Term Care, and Industry Canada. David has degrees from the Canadian Studies program at the University of Toronto and the School of Public Policy and Administration at Carleton University.